For detailed hatching instructions; please check out our "download" section. The new bread Artemia nauplii contain the natural carotenoid pigment canthaxanthine. 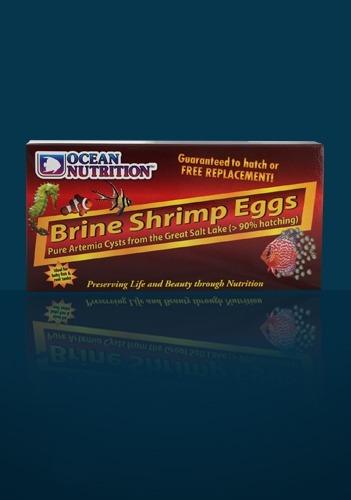 What are the optimal conditions for hatching Ocean Nutrition artemia cysts? My artemia culture failed to hatch. Are there any other alternatives to feeding artemia nauplii? 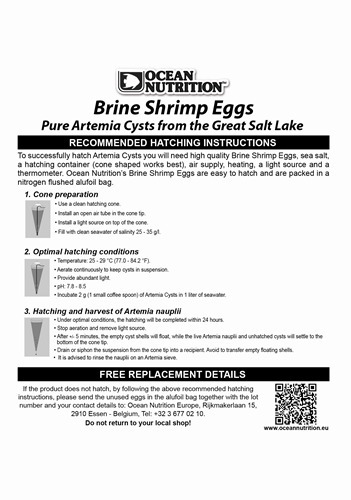 Artemia cysts should be stored in cool dry place prior and after opening the packaging. Standard guidelines are: * Maximum 2 gram of dry cysts per liter, * pH > 8, * Salinity between 25 and 35 gram per liter, * A lot of aeration and light, * Water temperature between 26 and 29 °C (do not exceed 30 °C°). It is important to keep the water properly buffered in order to maintain a high pH. Make sure that all equipment is properly cleaned to increase your chances of success. Please check our downloads section. It has happened to the best of us and you know what the old saying is “never put all your eggs in the same basket”. 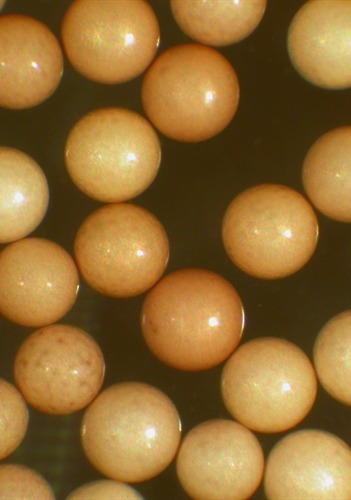 First of all before setting up your artemia hatchery make sure that all the basics are respected. Is the salinity correct? Is the pH OK? Do I need to buffer my pH? Are my cyst properly stored? These are all variables that can easily be avoided. In general, it is a good idea to start two cultures with a couple of hours delay between each culture. Should one fail, you’ve got a back-up plan. We do have an off the shelf solution which is just as good as the real thing. It’s called the instant baby brine shrimp. 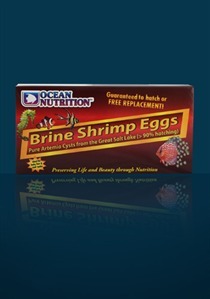 This product has brilliant buoyancy properties that will fool any prey. 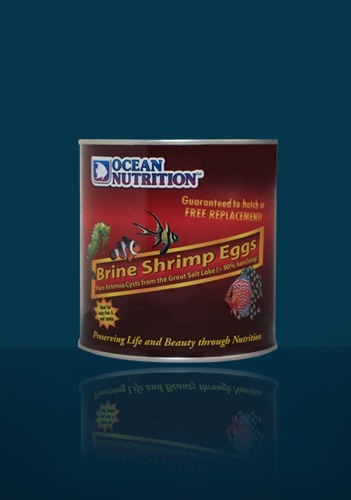 The Instant Baby Brine Shrimp is an ideal extra to any invertebrate tank. 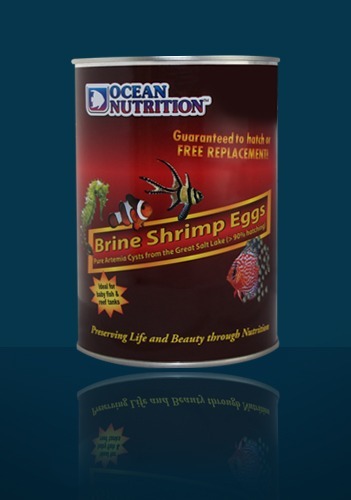 Other products such as our frozen Cyclops and red plankton also work successfully.